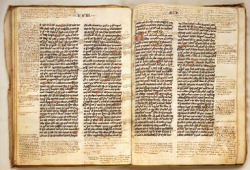 Read Aristotle Metaphysics Online here. Click the book image on the right to read Aristotle Metaphysics on your computer now. To learn more about Aristotle, I recommend checking out the links below. You will find an abundance of information about him on Answers.com and Wikipedia, so I won't burden you by repeating all of that here. It is interesting to note here that the book we now know as "The Metaphysics" by Aristotle was originally titled "First Philosophy", or the philosophy of first principles. In his book, Aristotle explores the thoughts and ideas of philosophers, up to and including his own lifetime, contemplating "first cause" or what came first and gave rise to everything we now know to exist in the universe. Although convoluted and certainly not an easy read, the book does give a comprehensive overview of the who, what, when, where and why that gave rise to our current and modern metaphysics. Many of the ideas we hear and read about in books and online today are not at all "new", but have been passed down and shared for thousands of years. Even more fascinating is the fact that so many people discover these first principles on their own, and later find that humans have been experiencing and talking about these principles for many generations. If these principles we call metaphysics were not somehow integral to experiencing a valuable and meaningful life, then they would not be so persistent and omnipresent. What do you think? Read Aristotle Metaphysics and decide for yourself. Are the ideas expressed new to you? Have you read or heard about them before? Or did you, like so many others, discover these principles on your own only to find that people who lived thousand of years ago had access to the same knowledge? And where did this knowledge come from, anyway? If everyone has direct access to this knowledge, what does that imply about the human mind and heart? I hope you are enjoying your exploration of Metaphysics for Life, and that you are finding ways to employ these principles in your own life. As always, access your own heart for the truth and source of infinite knowledge and intelligence. Then compare what you find with what others have to say, and let that inspire you to dig even deeper. Aristotle's Metaphysics continues to be a source of inspiration and thought provoking ideas to this day. It connects us with the philosophers of our past, and helps lead us to the ever expanding awareness of our future, and it's all happening right here, right now! Click the links below to learn more about Aristotle, OR, Go Back To: What Is Metaphysics? to explore modern metaphysics and more. 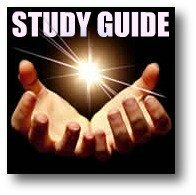 If for some reason you are unable to access Aristotle's Metaphysics by clicking the book image above, you can read it by clicking here which will take you to Answers.com. Learn all about Aristotle on Answers.com. Biography, history, philosophy and more. 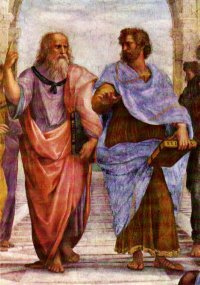 Learn all about Aristotle on the world's free encyclopedia. A comprehensive article covering Aristotle's biography and his most prominent philosophies and ideas.